Your public Mixmax calendar is a personalized webpage that shows times when you're available to meet. Anyone with the link can click a time to schedule a meeting with you. 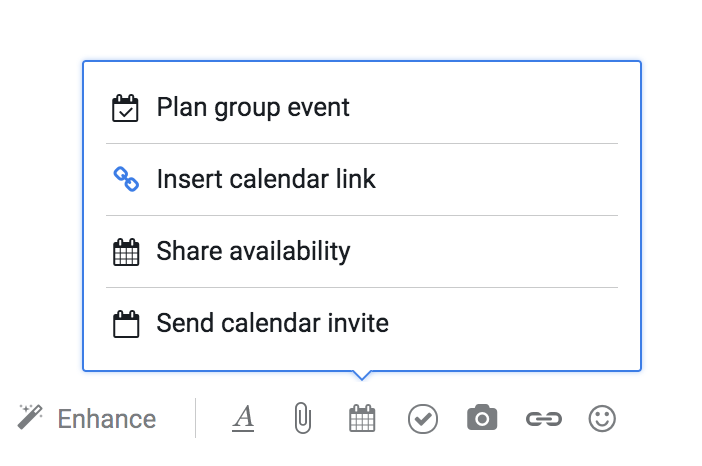 You get your own personalized link that you can share which you can find in your calendar settings. Your public Mixmax calendar link is perfect for sharing in a sequence or in your email signature, because the available times are always fresh and up-to-date! Your custom link will contain a drop down menu containing all of your Meeting Templates, which your recipient can choose from. 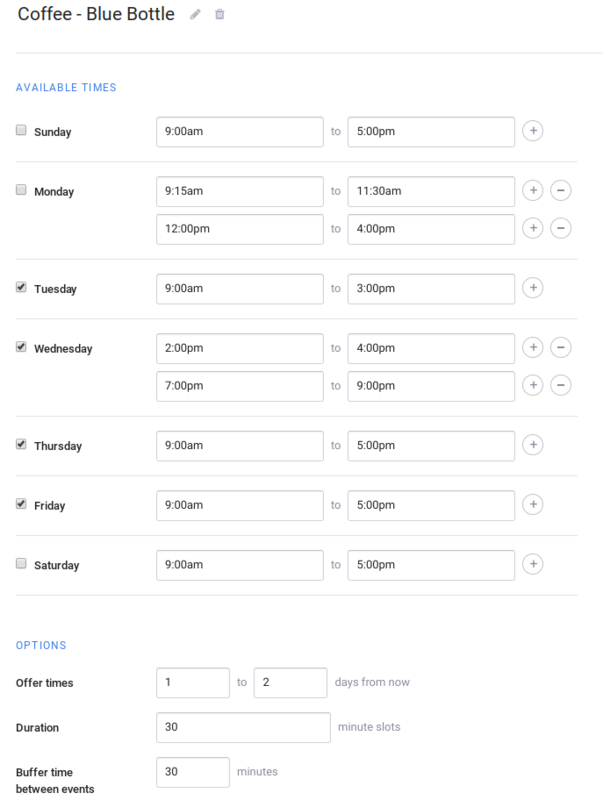 Because you can set the availability differently for each meeting templates, the available times the recipient sees may change when they select a different option. Here's what it looks like when someone visits your public Mixmax calendar and clicks to schedule a meeting. If they get to your calendar by clicking a link in your email, their name and email will be pre-filled. You can specify the meeting title and location in your settings. 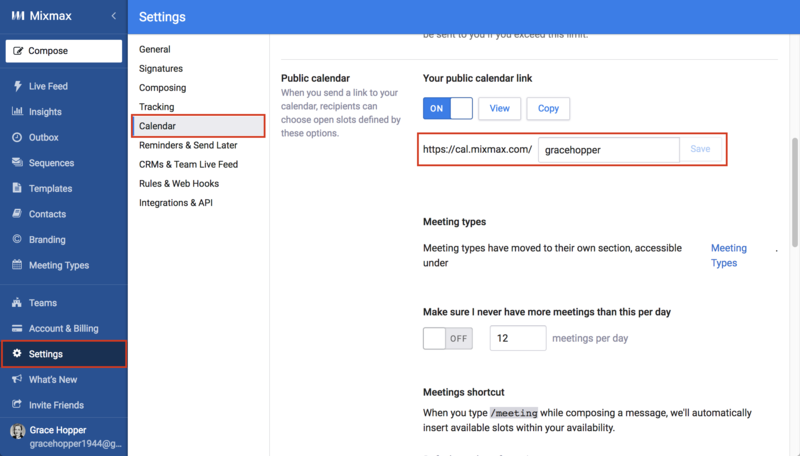 After someone books a meeting with you, both of you will receive an email notification, and the event will automatically appear on both of your Google Calendars. 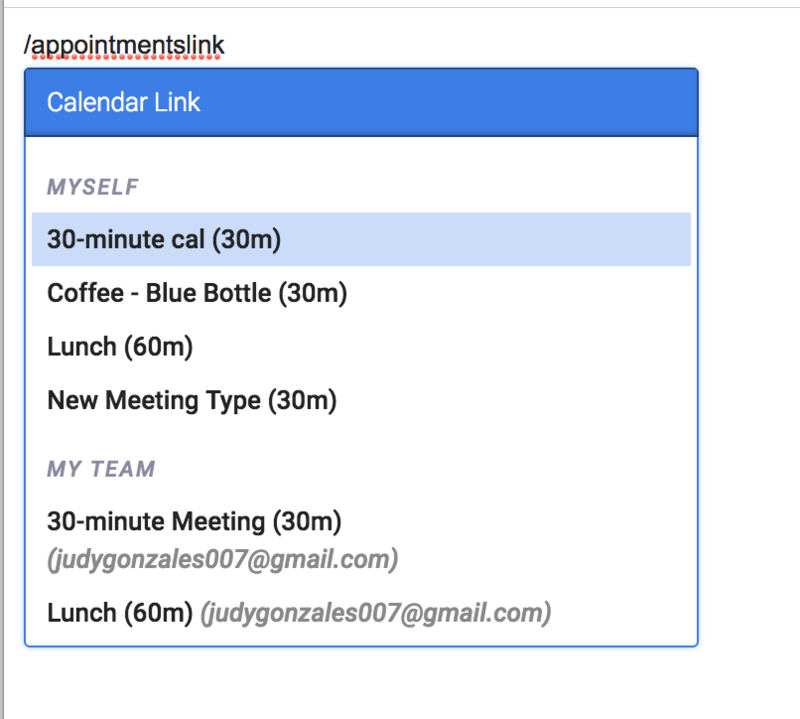 Each meeting template you create will also have its own unique link you can use and send out to recipients. You can add your public Mixmax calendar link to your email in several ways. 1. Hover over the calendar icon in the bottom of the compose window, and select Insert calendar link. 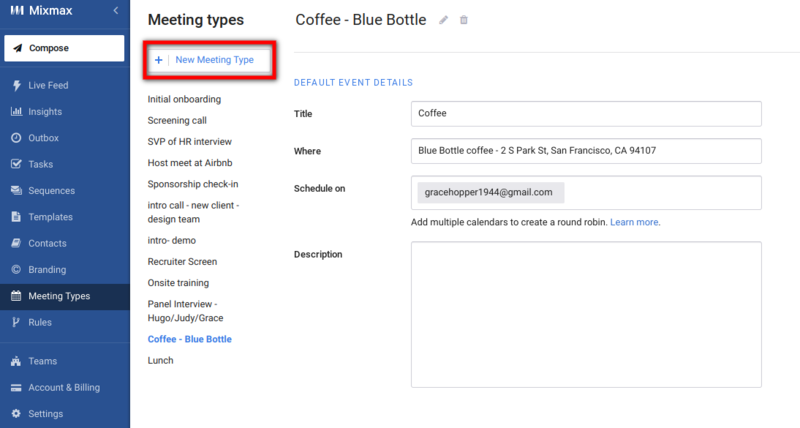 When you select that option, you'll be able to select exactly which meeting template link you'd like to send. 2. Alternatively, you can use the slash command /appointmentslink. This will provide you the same list of meeting templates to choose from. Want to book on someone else's calendar? Get their calendar link, and create a template with that link! 4. Another option is to create a call to action button like the one in the screenshot below. Type /cta to create your own button. Create a template that contains this button, so you can add it quickly to any email. Available: Specify the dates when you're available. 1 day from today is tomorrow - so if you put "1" in the first box, the earliest someone can book with you is tomorrow. We recommend putting "1" in this box. Putting "0" will enable people to book a same-day meeting with you, which can be a bit stressful and we don't recommend it! Within the following hours: Specify the hours during which you'll offer meeting times. Around here we call these your "office hours". Our best practice: give yourself one meeting-free day each week, so you can focus on those projects you never seem to have time for! Link: Customize the link that will appear in the URL. Once you've set up your links, create a template for each meeting template, to easily offer a link. Make sure I never have more meetings than this per day: If your days are feeling too full, reduce this number to give yourself a little more time. Meetings shortcut: typing /meeting in an email will automatically add the availability enhancement, using times when you're available. You can specify the number of times to show. Check the box for double-booking protection to ensure that people cannot select slots that conflict with events on your calendar. Finally, you can specify the default Title and Location, and Description for both the Share Availability enhancement and your public Mixmax calendar. This information will appear in the notification email and in the Google calendar event. Note that you can specify separate options for the Event Invite.